From the church's birth to the reign of St. Gregory the great, to the Great Schism and through the Reformation, Phyllis Tickle notes that every 500 years the church has been rocked by massive transitions. Remarkably enough, Tickle suggests to us that we live in such a time right now. 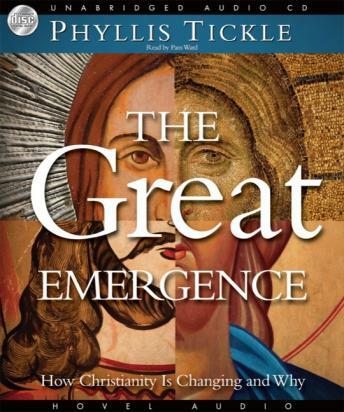 The Great Emergence Examines history, social upheaval, and current events, showing how a new form of Christianity is rising within postmodern culture. Anyone interested in the future of the church in America, no matter what their personal affiliation, will find this book a fascinating exploration.